The NATURA multi-level system by Big Dutchman is characterized by its consistently structured design. This is an important prerequisite for high egg production and animal-friendly housing. 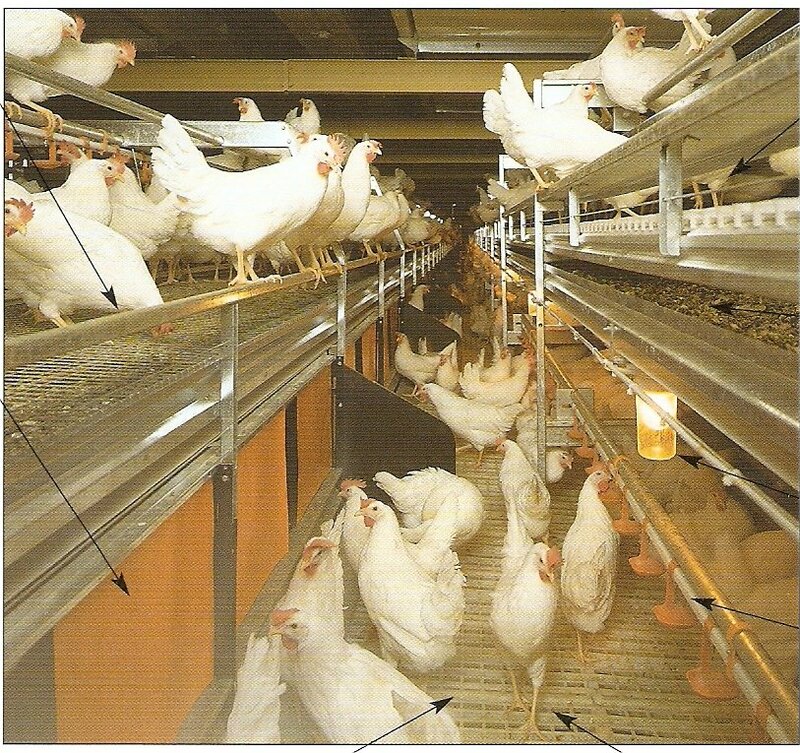 To give hens an ideal start with the NATURA multi-level system, they should be reared in a system with a similar structure. Only then, a smooth transition (16 to 18) from rearing to laying with only a short training period is possible. In order to keep the percentage of mislaid eggs as low as possible, it is extremely important to observe the instructions for correct management. This include the implementation of special feeding and lighting programs with the corresponding house illumination and special dimming sequence, the correct litter material or setting of fixed times for the access to the winter gardens and/or the free-range area.